Personalised name shelf sitter - customised with 9-11 letters of your choice. Know a Christopher, Sebastian, Charlotte or Mackenzie? Then this listing is perfect for you! I will create a gorgeous hand cast resin piece in the name of your choice. 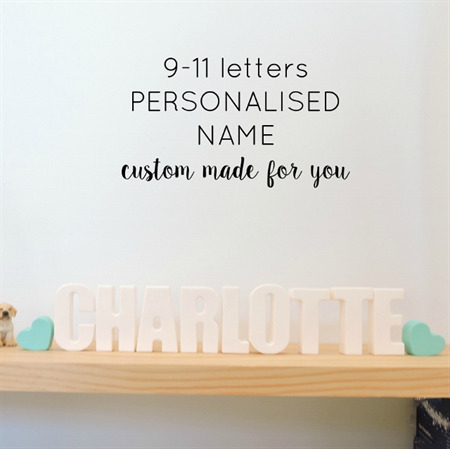 Perfect for a room decoration, shelf ornament or even a puzzle for name recognition! The most awesomest gift ever! Letters are in uppercase only. 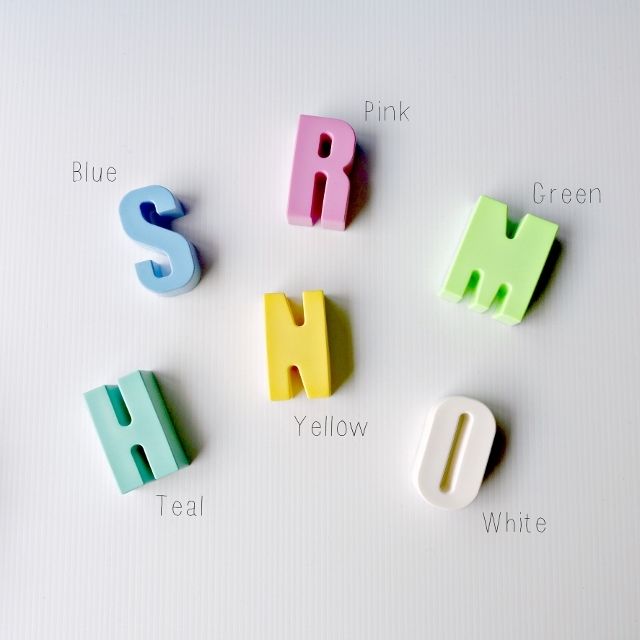 Each letter measures 53mm high and are 20mm deep and comes lovingly domed on the back for a quality finish. Please allow 3-5 days to create your name before postage. How wonderful that you are buying handmade - as unique and quirky as you are. All it takes is YOU to start the trend - shop SMALL, shop LOCAL, spend LOCAL, enjoy LOCAL. Australia is awash with raw talent - ENJOY. Remember - anyone can buy mass produced but only someone special buys handmade!